OTTAWA — Bert Cunningham likes to tell the story of the final words famously uttered by Captain James Lawrence before he died of a gunshot wound in battle. During the War of 1812, the 31-year-old American commander of the USS Chesapeake was engaged in combat with the British frigate RMS Shannon. Lawrence’s ship quickly had been disabled by the smaller British vessel, and the U.S. captain tried, without success, to encourage his troops with an order that has since been immortalized. Upon receiving word of Lawrence’s death, his friend and fellow officer Oliver Hazard Perry had a flag made with the rallying cry emblazoned on it, which he flew on his flagship three months later during a victorious Lake Erie engagement against the British. It is a refrain that, 200 years later, remains in use by the U.S. navy to marshal its troops: “Don’t give up the ship!”The Doran Bay Model Ship Museum, which Bert Cunningham owns and operates on the shore of the St. Lawrence in Iroquois, Ont., boasts 44 ships in glass cabinets, with nearly twice as many more in storage in the basement, waiting for the day when renovations or possibly an entire new building, will facilitate their display. The museum only opened last September, so it’s too early to gauge its success, but the 500 visitors that passed through last fall offer Cunningham encouragement, and he now has his eyes on a nearby 200-year-old barn he thinks would make a good permanent home for the ships. And while other kids were drawing pictures of cars and horses and sports figures and whatnot, Cunningham’s drawings were always of the same thing: tall ships. “I know that at some time, if I had a previous life, I was around water and around ships. Because right from the get-go, when I was a kid, I would draw pictures, in intricate detail, of these ships,” he explains. He looks around the main room of the museum, located on a piece of property famous, he says, for the fact the entire U.S. army landed here in 1813, just days before the Battle of Crysler’s Farm. Some of the cabinets have been pushed out of the way to afford Cunningham and his wife, Simla, who live upstairs, a sitting room during the winter, but they’ll soon have to be moved back: the museum opens again on the Victoria Day weekend, and the place now looks a bit like a labyrinth that’s been shaken just a little too furiously. “This is sort of a hobby out of control,” he says.After earning his master’s degree in public administration from Carleton University, Cunningham was hired by Canada Customs, first to help change its commercial and IT systems and later becoming project manager on the Canada-U.S. Free Trade Agreement. He eventually left there and worked with the World Customs Organization in Brussels, the World Bank and the IMF, as well as a consulting arm of Harvard University. In all, he estimates he’s worked in about 60 countries, most of them developing nations in need of customs and revenue reform. It was while in Mauritius — 900 kilometres east of Madagascar in the Indian Ocean — in the early 2000s, where his efforts in eradicating corruption earned him both the nickname The Cleaner and the title of Mauritian-of-the-Year — the first foreigner to be so honoured — that his interest in ships crossed paths with model ship builders. The first ones, the Bluenose and the Emerald Isle, each about 1.2 metres long and taking six to eight months to build, became instant conversation pieces, he remembers. “There was a constant stream of traders and drug smugglers or money launderers through my office, being brought up on the carpet, and nobody wanted to talk to me but they loved these boats. There are, for the most, four types of ships in his collection: Ships of world discovery, including Columbus’s Santa Maria, Darwin’s Beagle, Magellan’s Trinidad, Cook’s Endeavour, Cabot’s Matthew, The Bounty, Nonsuch and a Viking longboat; tea clippers such as the Cutty Sark and Thermopylae; 16th- and 17th-century capital ships — typically the flagship of a country’s naval fleet, such as the Soleil-Royal (France) and Sovereign of the Seas (Britain); and ships related to the Revolutionary War and War of 1812. He also had models made of such famous ships as the Titanic and the Empress of Ireland. 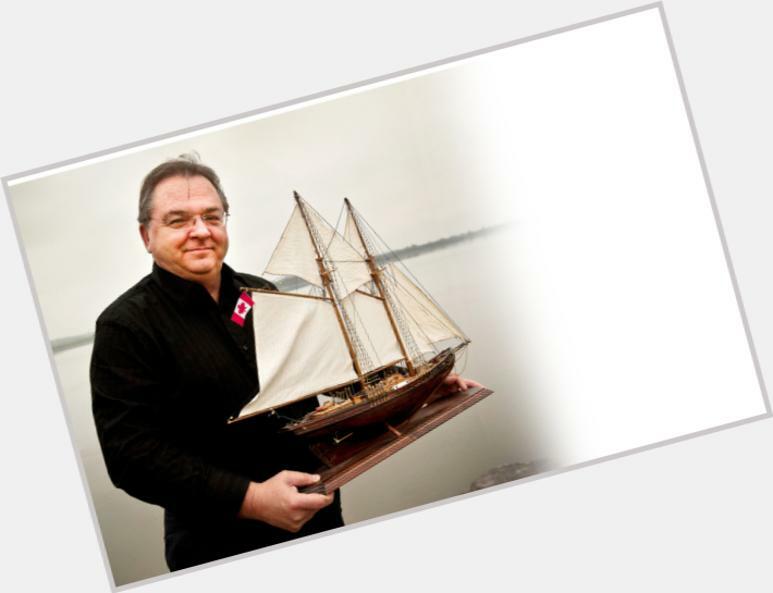 Cunningham estimates the 14 War of 1812 ships in his collection amount to the largest such accumulation in the world, and later this year, in commemoration of that war’s bicentennial, he’ll host a visit from a number of descendants of Sir Isaac Brock’s family, including his brother Thomas’s great-great grandson, Rev. Michael Brock. To that end, he’s hoping to attract school groups to his museum, in the hopes that stories like that of Lawrence’s famous battle cry will spark a few young imaginations.